how would still print commercial stuff get created? Would it be done in real flow as an animation and then freeze framed, or would the whole thing be modelled? For example these sprite and coke commericals. Some very nice fluids Dirt/Smoke reference in there! 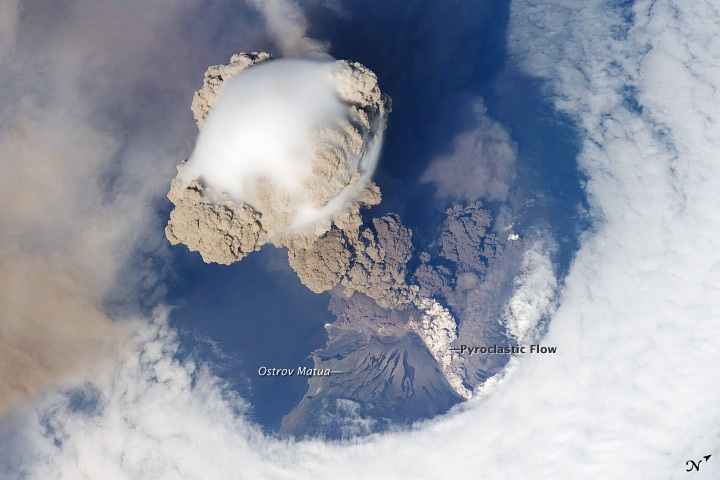 This animation of the Sarychev eruption plume is composed from a sequence of images captured by the crew of the International Space Station. Boom! Hope no one got hurt! It’s pretty obvious why he raced so fast, for his bull, but not the red bull !